Confession #1: I should have gone to the gym after work but instead I decided to paint my nails, blog and eat leftover kale quiche (and a few glasses of wine). Confession #2: There is a lot of kale in those pre-chopped bags that you buy at Trader Joe's - I think I may turn into a head of kale if I keep eating it for every meal (quiche functions as breakfast, lunch or dinner right?). Confession #3: I enjoy putting stuff in the blender and making it taste delicious - hence my kale-almond-vanilla smoothie that seriously tastes like melted ice cream (seriously). So kale is one of those "controversial" vegetables - and by controversial I mean that nobody, nobody will admit to liking it unless you are a health freak. I used to feed it to my guinea pig, which admittedly is what commenced my aversion to it until recently. Why would you eat something you feed to your rodent? However, the bitter taste is not always something that people enjoy - but in this smoothie, you can't even taste it. I'm not kidding when it tastes like melted ice cream: it's a four-ingredient smoothie that will amaze you. The ingredients for this smoothie are: 3 cups chopped kale (with the coarse stems removed), 1 halved and sliced banana, 1 cup frozen mango, and 1 1/2 cups sweetened vanilla almond milk. You may be thinking: wtf, mango? However, mango is sweet, earthy and tart. Every good dish/smoothie/drink/whatever has to have some citrus or tart flavor to cut the sweetness. You never ask why you put salt in cookies or squeeze lemon into hollandaise sauce, right? Then just trust me. Now this smoothie goes perfectly with the kale, cheddar and onion crustless quiche that you made last night (and have to devour before it goes bad sitting in your fridge because you made a whole one and your roommate can't eat dairy). 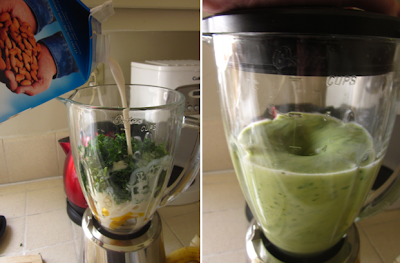 The kale smoothie and quiche combo is appropriate for breakfast, lunch, dinner, or even fourth or fifth meal. Bon appetit! I'm a twenty something girl living in West Los Angeles, enjoying the fast-paced city life in the city of dreams, where you will never find yourself bored. I dabble in cooking, writing, painting, and any adventure I can get myself into. I love animals, fashion, nightlife, food, and interesting people. 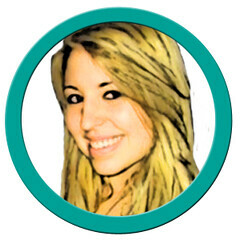 Professionally, I manage all social media efforts for the beauty and skincare company, Murad. You can learn more about me here or check out my work and samples. 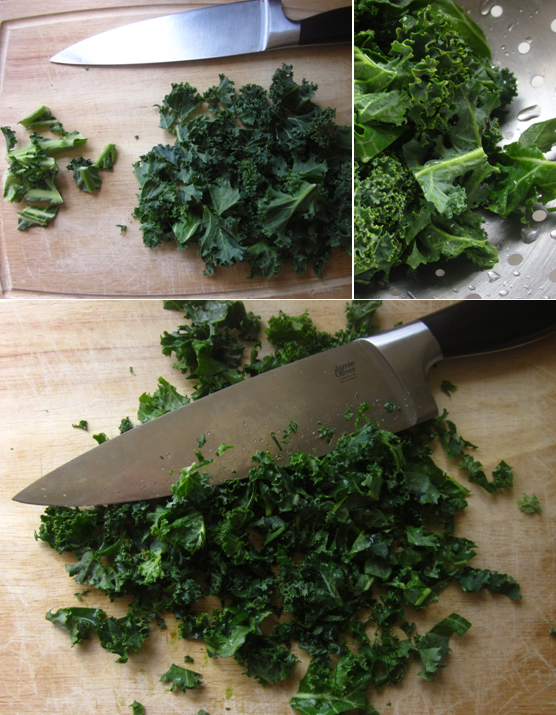 Baked Garlic Parmesan Kale "Chips"
Making Don Draper's "Old Fashioned"
Have You Seen This Insanely Creative Video?